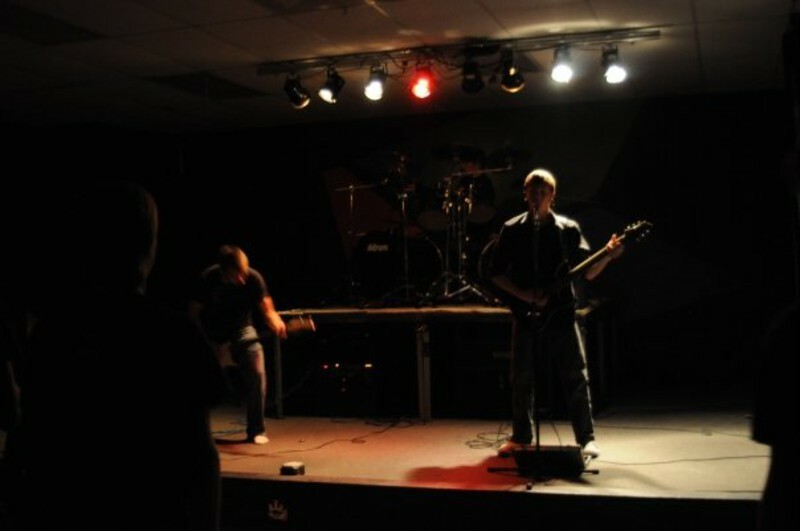 I do lead vocals/guitar for a Melodic Death Metal band called The Indictment but we recently lost our other guitarist so I'm exploring all of my options: Either my band finds some new members or I will join another band who needs a vocalist, guitarist, or both. I have been playing guitar for 5 years now and still going strong. I have 4 different types of screams: a very low growl, a normal "mid-range" scream, a "Black Dahlia Murder" style-high, and then a high scream. Schecter C-1 EX Baritone Blackjack guitar, Cort Hiram Bullock Signature II guitar Peavey 5150 2x12 tube combo amp, Rocktron Hush IICX rack noise gate, Furman power conditioner, BBE 482 sonic maximizer, BBE 482i sonic maximizer, Ibanez Tubescreamer OD pedal, Ibanez pedal tuner. Still buying gear.